Torts or Wrongs. - "A tort is an act or omission which unlawfully violates a person's right created by the law, and for which the appropriate remedy is a common law action for damages by the injured person." The right that is violated is private and not public, which marks off a tort from a crime. Again, the wrongful act may be a violation of both a private and public right, in which case both the individual and the state have a remedy against the wrongdoer. Thus A without excuse attacks B and bruises his nose. B has an action to recover damages against him for despoiling his countenance; the state also may proceed against him in a criminal action for his breach of the public peace. Another illustration may be given. A clerk embezzles money from his bank. It sues him and perhaps his bondsmen and recovers the money. Embezzlement, however, is a criminal offense, and the recovery of the money taken does not affect in any way the right of the state to proceed against the embezzler. Indeed, an individual who has been wronged cannot by any restitution or settlement that he may make with the wrongdoer impair the right of the state to punish him. Torts or wrongs are very numerous for which the wrongdoer may be held liable. The first to be mentioned is false imprisonment. The law punishes false imprisonment as a crime; the person unlawfully imprisoned also has a civil action for damages. A person is said to be imprisoned "in any case where he is arrested by force and against his will, although it be on the high street or elsewhere and not in a house." Mere words are not an arrest. If an officer says, "I arrest you," and you run away, there is no arrest. But if an officer touches you and takes you into custody there is an arrest even though you run away afterward. A malicious prosecution is another wrong. A person who brings his action for this wrong must prove four things: first, that the prosecution has terminated in the complainant's favor; second, that it was instituted maliciously; third, that it was brought without probable cause; fourth, that it damaged or injured the complainant. The term malice means something more than "the intentional doing of a wrongful act to the injury of another without legal excuse." It means that the original prosecutor was actuated by some "improper or sinister motive." The term "probable cause" requires explanation. Nothing is better settled, says one of the courts, than this, that when the person who brings such an action against another "submits his facts to his attorney, who advises they are sufficient, and he acts thereon in good faith, such advice is a defense to an action for malicious prosecution." That such advice may be a good defense a full and honest disclosure of all the facts must be made to him. Such advice will not serve as a screen if based on a fragmentary, incomplete statement of facts. A very common tort is an assault and battery. A person who threatens another with immediate personal violence, having the means and opportunity for executing the threat, commits an assault for which damages may be recovered in a proper action. To raise a club over the head of another and threaten to strike if he speaks, would be an assault. "Absence of intent," says Burdick, "on the part of the defendant to put the plaintiff in fear of bodily harm, is pertinent to the defense that the injury was accidental, or due to a practical joke." A battery, as distinguished from an assault, is the inflicting of actual violence on a person, though the degree of violence is immaterial. The least touching of another in anger, or as a trespasser, is a battery. Forcibly cutting the hair of a person without legal authority, or injuring the clothing on a person, or snatching an article from his hand, or cutting a rope or belt attached to him, or striking a horse on which one is riding, or that is attached to his carriage, or overturning a chair in which he is seated, is a battery; likewise, if the assailant throws a stone or missile which hits the other, or spits in his face. There may be a justifiable assault, the law has long recognized this. 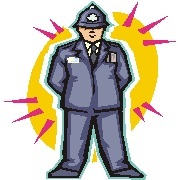 A public officer is justified in using force in performing his duty, so is a private individual in defending himself, his family or his property, or in enforcing lawful discipline at home, in school, on board a ship, or other public conveyance, or in restraining one mentally or physically incapacitated. Another injury for which the law furnishes redress is that affecting reputation and character. It is true that the damages one may recover, however great, may be an inadequate redress, yet it is the best the law can do. The party injured by a libel or slander brings his action and wins his victory over his enemy, yet the battlefield remains and the scar of the wound inflicted. The issue in an action for defamation is not the character of the plaintiff, but the wrongfulness of the particular statement. Therefore "it is not a defense to a libel or slander that the plaintiff has been guilty of offenses other than those imputed to him, or of offenses of a similar character; and such facts are not competent in mitigation of damages." As the gist of the tort consists of the injury done to one's reputation, the defamatory statement must have been published. A person has no cause of action against another for defamatory words spoken to him; they must have been heard by a third person. The plaintiff may make out a case by showing that the libel was contained on the back of a postal card, or by other evidence that makes it a matter of reasonable inference that the libelous matter was brought to the actual knowledge of a third person. A person who voluntarily engages in the interchange of opprobrious epithets and mutual vituperation and abuse has been held to license his antagonist to reply in like manner. "The right to answer a libel by libel is analogous to the right to defend one's self against an assault upon his person. The resistance may be carried to a successful termination, but the means used must be reasonable." Common carriers, news-vendors, proprietors of circulating libraries and others who are merely unconscious vehicles for carrying defamation generally escape liability for its publication. If the publication of a libel is the result of the joint efforts of several persons, each is responsible for the wrong done to the plaintiff. If A writes a libel, and B prints it and C publishes it, the person wronged may sue all jointly, or either one of them separately. The publication of the same slander by different persons is not a joint tort, it is a distinct wrong done by each slanderer. There are distinctions between libel and slander that must be now stated. Slander is applied to oral speech or its equivalent, libel to matters expressed in writing or print, pictures, effigies or other visible and permanent forms. Libel is a criminal offense as well as a tort, while the slander of private persons is not a common law crime; but some forms of slander are crimes by statute. Falsely and maliciously to charge one with committing a felony or other indictable offense involving moral turpitude is in some states a crime. Scandalous matter is not necessary to make a libel. "It is enough if the defendant induces an ill opinion to be held of the plaintiff, or to make him contemptible or ridiculous." Says Burdick: "Any censorious or ridiculing writing, picture or sign made intentionally and without just cause and excuse is a libel upon its victim. The degree of censure or ridicule is not material. If the language is such that others, knowing the circumstances, would reasonably think it defamatory of the person complaining of and injured by it, then it is actionable." In many cases of libels which affect the victim chiefly or solely in his office or vocation their tendency to cause injury is so clear that proof may be unnecessary. Thus, to import insanity or incompetency to a professional man, or that a public official is dishonest and corrupt is actionable. And when a libelous publication is directed against a class or body of persons, for example, the medical staff of a public hospital, any member of the body may maintain an action for the wrong. A corporation has no character like a natural person to defend, but a defamatory charge which directly affects its credit and injures its business reputation is an actionable one. On the other hand as a corporation must transact its business and perform its duties through natural persons it is now well settled that a corporation is liable in damages for slander, as it is for other torts. Slanderous words that are actionable have been thus classified by the United States Supreme Court: "(1) words falsely spoken of a person which impute to the party the commission of some criminal offense involving moral turpitude, for which the party, if the charge be true, may be indicted and punished; (2) words falsely spoken of a person which impute that the party is infected with some infectious disease, where, if the charge is true, it would exclude him from society; (3) defamatory words falsely spoken of a person which impute to the party unfitness to perform the duties of an office or employment of profit or the want of integrity in the discharge of his duties of such office or employment; (4) defamatory words falsely spoken of a party which prejudice such party in his or her profession or trade." The damages may be either nominal, one dollar is often given in such cases, or compensatory, larger damages, as a punishment. The amount rendered is within the province of the jury, but courts do not hesitate to modify or set aside verdicts which are deemed excessive or too meager. The defenses in such actions may be briefly described. The truth of the charge is a complete defense to a civil action for slander or libel, because "the law will not permit a man to recover damages in respect to an injury to a character which he either does not or ought not to possess." A privileged communication is another defense. The heads of the executive departments of government are absolutely privileged for defamatory statements made by them while acting within the limits of their authority. Their motives do not become the subject of inquiry in a civil suit for damages. Judicial officers are shielded by this rule while discharging their duties. The publication of judicial proceedings is conditionally privileged. The condition is that the proceedings are public, are decent and fit for publication, that the reports are full and fair, and that their publication is not inspired by malice. Says Burdick: "The reports of such proceedings are usually made without reference to the individuals concerned, and for the information and benefit of the public. The law, therefore, presumes that they are made in good faith." The full and fair reports of parliamentary and legislative proceedings are also conditionally privileged as well as the reports of judicial proceedings, and for the same reasons. The publication of the proceedings of quasi public bodies, like state, medical, and ecclesiastical societies has been deemed conditionally privileged. But "professional publishers of news are not exempt, or a privileged class, from the consequences of damage done by false news. Their communications are not privileged merely because made in public journals." Statements rendered by mercantile or collection agencies to inquirers for business purposes are clearly privileged. But whether the circulation among all their subscribers of a sheet containing such statements is privileged is a disputed question among the courts. Again, every statement made with the object of protecting some interest of the writer or speaker and which is reasonably necessary for such purpose is conditionally privileged. Fair comment is another defense. The most frequent subjects of fair comment from which spring actions for defamations are the character and conduct of public men or candidates for office; and literary, artistic, or commercial productions offered to the public. Whether a particular statement is an unfair aspersion of one's personal character, or a fair comment on his public conduct, is a question usually for the jury. At common law a defamer could not insist on an opportunity to retract or apologize, but he could give in evidence any apology or retraction to lessen the damages. This rule has formed the basis of a statute in some of the states. Though attacked on constitutional grounds, it has been sustained in Minnesota, North Carolina and perhaps in other commonwealths. Where it can be made, the apology and retraction must be full, fair, prompt. Passing to private nuisances, a wrong or tort consists in wrongfully disturbing one in the reasonably comfortable use and enjoyment of his property. Ordinarily the motive of the wrongdoer is not material in determining his maintenance of a nuisance. Some things and trades are considered as nuisances of themselves, for example, a slaughter house in a large town, a pigsty near a dwelling house, a house of ill fame, the fouling of a spring, well or stream; keeping a large quantity of explosives near a public dwelling, or animals or other property dangerous to human life. Likewise, a hospital that operates to destroy the peace, quiet and comfort of those in adjoining residences, affects their health and value of their property is a private nuisance, against which action may be taken for its removal or abatement. Public cemeteries come under the same ban. They will not be adjudged a nuisance simply because they offend the fancy, delicacy, or fastidiousness of neighbors, or even depreciate the value of adjoining property. When a business is carried on, structures are erected, or excavations are made which are nuisances, the actor is liable in damages for them whether he exercised due care in constructing and maintaining them or not. The same rule applies to the owner or keeper of a savage and dangerous animal. Acts of discomfort that amount to a nuisance are such as produce this effect to persons of ordinary sensibility who live in the locality where the nuisance exists. Noises, odors, smoke, or dust may constitute an actionable nuisance in one locality and not in another. If the nuisances are from ordinary musical instruments in the dwelling of a neighbor, or from his children, yet are only of a kind that may be expected in such a neighborhood, they must be borne, unless prohibited by law. On the other hand, the same amount of noise caused by horses in the basement of an adjoining house is an actionable nuisance. A temporary annoyance is quite another thing. The erection of an iron building near a dwelling might, during the period of construction, cause great noise and discomfort, yet the occupier of the dwelling would have no remedy. But there is a limit to the conduct of the annoyer. He must act reasonably. He cannot blast rock, or hammer metal, or operate noisy steam drills at all hours of the day and night. He must conform to the habits of the community, and notunreasonably disturb his neighbors, during ordinary working hours. There is a distinction also between acts that annoy and those that injure adjoining property. Generally acts of the latter kind are actionable. If one fixes his residence near a nuisance, formerly he had no remedy. This is no longer the law. When, however, a court is asked to enjoin or stop a useful and lawful business in a place, the court will inquire whether the business has long existed and the place has grown up by reason of its existence. If this prove to be the case a court will reluctantly interfere. Yet, if the business is actually harmful to health or injurious to property, it will be enjoined however great the loss may be to the owner. While a land owner is not liable for a nuisance created on his land by a stranger, whose acts cannot in any way be attributed to him, he is liable for a nuisance resulting from a licensee's use of his property. Thus, if a licensee by attaching a wire to a chimney converts it into a nuisance to passers-by, the land owner who knowingly permits the nuisance to continue will be liable for the damages that result. Nor can one who has fouled a stream or the air, or who indulges in disturbing noises, defend himself for doing these things by showing that others did them before he began. As a person acts at his peril in maintaining a nuisance, so is the owner of trespassing cattle liable for all the harm done by them, whether he knows of their disposition to do harm or not. But he is not liable for harm done by them while they are driven along the highway without negligence on the driver's part; nor is he liable for mischief done by them to the person or personal property of one at other times without knowledge of their viciousness or other proof of negligence. Nor is he liable by the common law as an insurer against all damage done by them when they escape from his land. When vicious animals are kept for any purpose and are a menace to human beings they are a nuisance. Hence, they may be killed without incurring liability, and should they do damage their owner or responsible keeper must answer for it. If the animal be a vicious dog, the owner must exercise a degree of care commensurate with the danger to others following his escape from custody, and must secure it from injuring anyone who does not unlawfully provoke or intermeddle with the animal. By the early common law a person who started a fire, even for a needful and lawful purpose, was responsible for the consequences. This rule has been modified with time. "A person," says Burdick, "does not start a fire on his land at his peril. If it spreads beyond his premises and harms others his liability for the harm must be grounded on his negligence. The same is true of his liability for electricity escaping from his control. In both cases the care he must exercise in guarding the dangerous element varies with the hazard to which it exposes others." The liability of a person who keeps explosives is not absolute, unless he is maintaining a nuisance. Otherwise he is liable only when negligent. If he is ignorant of the character of the explosive, and without fault in not knowing, his duty of care is fixed by the apparent character of the article. Suppose a carrier was carrying a trunk containing an explosive of which he had no knowledge or reason for supposing was there, surely he would not be held liable if it exploded and caused injury. The liability of a manufacturer, seller, lender, or user of things is not that of an insurer in making, selling, lending or using them. But he does incur liability whenever he fails to exercise such care as is fairly needful to protect others against the hazard in buying and using them. A druggist, therefore, who affixes a wrong label to a bottle of medicine and thereby injures a person who uses it is responsible. And the rule would apply whether the taker was the purchaser or some other person. When persons are invited on one's premises for mutual advantage, the inviter owes the duty of ordinary care. He is not an insurer of their safety, nor need he exercise extraordinary care in guarding them from harm, unless there was unusual danger. Suppose a man had a way which persons used in going to and from his business, and he began to dig a well near the way and left the place unprotected during its construction, undoubtedly the owner would be liable. Suppose the well was a considerable distance from the way where persons did not usually go and had no occasion for going. Then he would not be liable. How far away from the road could he dig without thought of the public? The answer would depend on the facts in the case. A somewhat different rule has been applied to children. Although a child of tender years who meets with an injury on the premises of a private owner may be a technical trespasser, yet the owner may be liable, if the things causing the injury have been left exposed and unguarded, and are of such a nature as to be attractive to children, appealing to their childish curiosity and instincts. Unguarded premises, which are thus supplied with dangerous attractions, are regarded as holding out implied invitations to children. There has been a great deal of controversy over this important rule. Those opposed say, if everywhere applied, it would render the owner of a fruit tree, for example, liable for damages to a trespassing boy who, in attempting to get the fruit, should fall from the tree and be injured. Professor Burdick, after a full review of the cases, says that the tide of judicial opinion is setting the other way. Children, therefore, who invade the premises of a person without any right are trespassers like older people. The duty of caring for children remains with their parents and guardians; and if they are injured while unlawfully going on the land of others their parents cannot visit the consequences of their neglect on the owners of the land where the injuries happened.